A lovely 7th floor two bedroom apartment situated within the popular New Capital Quay development in West Greenwich. 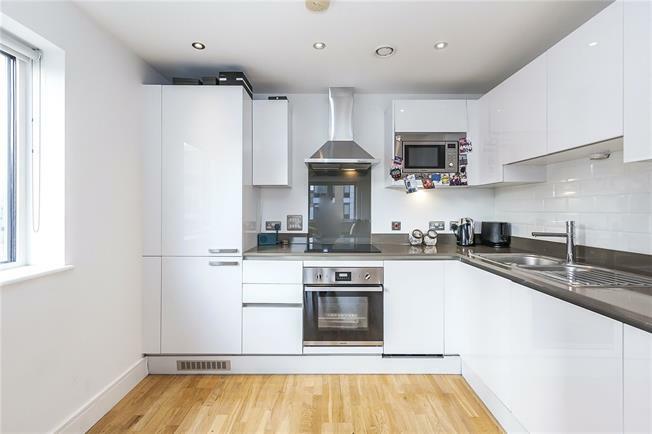 Situated in close proximity to local landmarks including Greenwich Park and Greenwich Market, the apartment would make an ideal first time purchase or rental investment for buyers looking for a property with great transport links to both the City and Canary Wharf. The apartment features a bright reception room with open-plan kitchen, two bedrooms and family bathroom. The property has a contemporary and neutral decor throughout with a fully integrated kitchen, wooden flooring and modern bathroom suite. Dowells Street is just off Creek Road which leads into central Greenwich and all the shops, bars and boutiques that the area has to offer, as well as the Docklands Light Railway at Cutty Sark which gives fast and convenient access to Canary Wharf and the City. Within a short walk is the Thames Clipper at Greenwich Pier which provides convenient access to Canary Wharf, the City, Blackfriars, the South Bank, Westminster, the O2 and other prominent stops along the Thames. There is a Waitrose in the development and several pubs and restaurants nearby, as are the various historical sights and open spaces of Greenwich Park.